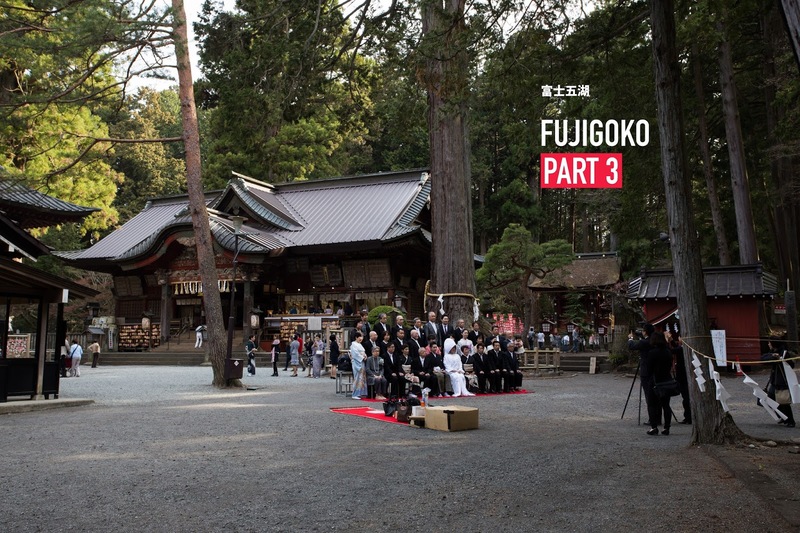 Fujigoko - Part 3: Fuji Sengen Shrine ~ this anomal life. We passed by the shrine by accident, but after seeing the epic tunnel of pine trees leading to the shrine, we had to go in. It was a beautiful shrine! Very majestic. These are called "senjafuda," translated as "thousand shrine tags." They bear the name of the worshipper and it's used to commemorate a visit (source: Wikipedia). What I want to know is...how do they get it up there? I think this was my favourite shrine in Japan, mainly because it wasn't overrun by tourists and was quite peaceful. This is the chozuya or temizuya, the purification fountain that you will find at all Shinto shrines. You're supposed to rinse both hands with the handle provided, some also will scoop water into their palm and rinse their mouth (don't drink the water though). However, I observed that not everyone is obliged to do this (I did not since I am Catholic). Notice the shimenawa hanging from the frame. It is used to mark a boundary to something sacred. A box filled with omikuji--fortunes. It can range from "great blessing" to "great curse." That massive tree really sets for a great scene. These are ema--shrine goers write their wishes on here and leave them hanging so that their wishes might come true. To our surprise, there was a wedding happening! We were very blessed to be able to witness something like this. They proceeded to take photos in the shrine grounds. A very special moment indeed. I love the colours in the shrines. There's always pops of red everywhere. The pillars of pine trees really makes this shrine unique. I'm not exactly sure what these boards say but I think they're names and dates of people who have significantly donated to the shrine. I think this one is similar to the one above but I can't be sure. Even the sewer cover looks epic. I found this really cool. A great personal touch by Kasuitei Ooya. Our traditional Japanese room at Kasuitei Ooya. The traditional yukata provided for our stay. No, you cannot bring these home. I'm sure that they discourage drying your clothes outside but our clothes were extremely soaked from visiting Shiraito Falls earlier that day. The beautiful hallways of Kasuitei Ooya. Views from the outdoor balcony in our hotel. We walked around our hotel to find a quick bite. I believe it was called Restaurant Konami but I am not completely sure. I got the grilled yamame trout set as it is a specialty in the Fuji Five Lakes. Onsen tamago has a heavenly texture. The next morning, we went down to eat an epic breakfast! If breakfast was like this everyday, I would actually wake up early. Goodbye Fujigoko! You were a gem! 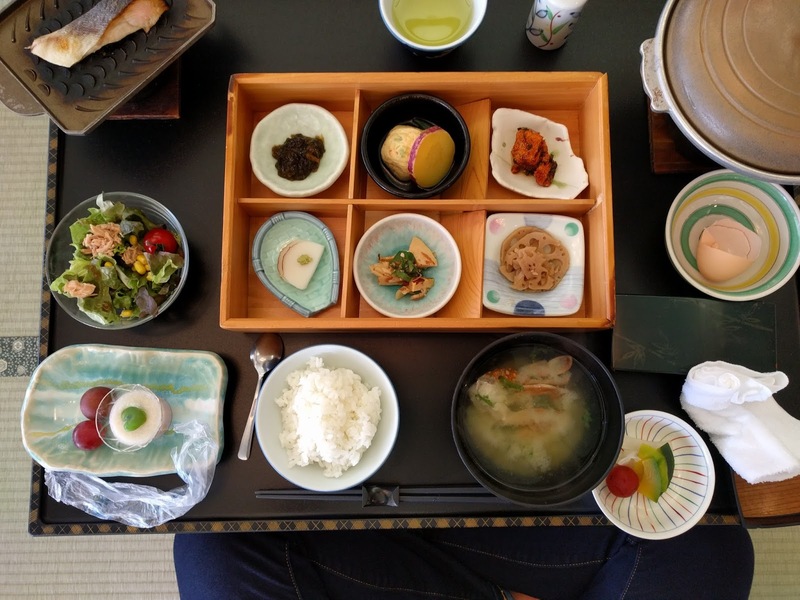 Here's an interactive overview of our Fujigoko trip.